By Kevin Mercadante Leave a Comment - The content of this website often contains affiliate links and I may be compensated if you buy through those links (at no cost to you!). Learn more about how we make money. Last edited April 17, 2019 . If you're looking for a new bank, BBVA Compass Bank is a banking institution with hundreds of local branches in several states across the country. But it’s also an online bank, and a full-service one at that. Not only do they offer free checking, one of the highest yielding money market accounts in the industry, and very competitive rates on CDs, but they also provide the full range of loans, small business banking, and both self-directed and managed investment options. If you’re looking for a one-stop financial shop, BBVA Compass can be the place to find it. 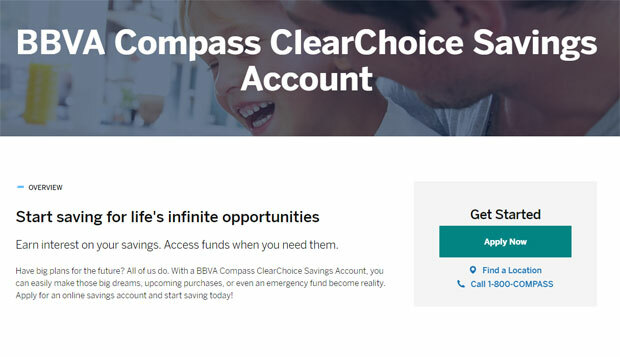 Should You Open an Account with BBVA Compass Bank? BBVA Compass Bank was founded in 1964 as Central Bank and Trust Company of Birmingham Alabama. After a series of mergers, the bank became Compass in the early 1990s. It then became BBVA Compass Bank in 2007 when it was acquired by Banco Bilboa Vizcaya Argentaria, the second largest bank in Spain. Today, BBVA Compass Bank is the 30th largest bank in the US, with more than $90 billion in total assets. The bank operates 644 branches in Alabama, Arizona, California, Colorado, Florida, New Mexico, and Texas. Available accounts. Checking, savings, and money market accounts, as well as certificates of deposit (CDs) and IRA CDs. IRAs are available in traditional, Roth, and rollovers. Coverdell education savings accounts are also available. Minimum opening balance. $25 on checking, savings, and money market accounts, and $500 for CDs. Simple Cash Back. You can receive cash back on eligible purchases made with your BBVA Compass Bank debit or credit card. It’s available for both Mobile and Online Banking, and there are no additional fees for the service. Offers are based on your spending behaviors, which means you’ll earn cash back on the things you purchase the most. The cash back rewards are deposited directly into your account the month after your qualifying purchases. Bill Pay. Enables you to pay anyone in the US electronically. If the party cannot receive electronic payments, the bank will print a check and mail it to them. 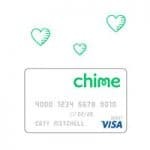 Use it to pay bills or transfer money to individuals. You can even set up automatic payments. ATM Network. 55,000 Allpoint and BBVA Compass Bank ATMs. Online Banking. BBVA Compass Bank has hundreds of branches across several states, but all banking can also be done online. Customer service. The Bank can be contacted by phone Monday through Friday, 7:00 am to 10:00 pm, and Saturdays, 8:00 am to 4:00 pm, Central time. Deposits at BBVA Compass Bank are FDIC insured, for up to $250,000 per depositor. Bank security includes Secure Socket Layer (SSL) connections, encrypting information transmitted between you and the Bank. They also offer Online and Mobile Banking alerts to notify you of an authorized or unusual activity on your account. You can open this account with a minimum initial deposit of $25, and there are no monthly fees. There are also no ATM fees at in-network ATMs. The account comes with Mobile and Online Banking, Bill Pay, free unlimited checking, and free online and paper statements. You’ll also receive a Visa Debit Card for the account. The card comes with Simple Cash Back. This account also comes with a minimum initial deposit of $25, and no monthly service charge. But its main benefit is that there are no ATM withdrawal fees at 55,000 Allpoint and BBVA Compass Bank ATMs. It also comes with Online and Mobile Banking, Bill Pay, and Simple Cash Back for your everyday debit card purchases. Interest Checking comes with all the benefits and features of the other checking accounts, but adds interest to the mix. It pays 0.15% APY on balances up to $24,999.99, then 0.01% on balances over $25,000. The account requires a minimum initial deposit of $25. But you also get two rebates per statement for ATM fees charged by other banks. 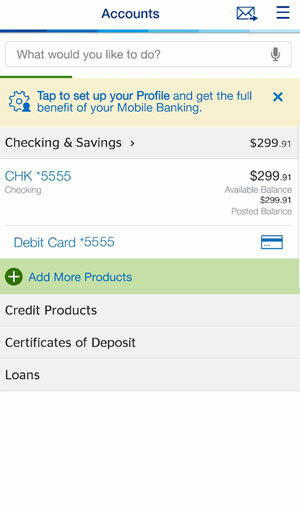 The account has a monthly service charge of $25, but it can be avoided if you maintain an average daily collected balance of at least $5,000 in your account, or a combined average daily collected balance of the least $25,000 in the account, plus a ClearConnect Money Market Account (see below). This is BBVA Compass Banks’s second chance checking account. If you don’t qualify for one of the other checking accounts, you’ll be offered this option. It’s for those who are unable to get a traditional checking account due to an unsatisfactory previous bank relationship. When you open the account, you can request an upgrade to another account after 12 months if your Easy Checking account is in active status and has a positive balance. The account requires a minimum initial deposit of $25, and comes with unlimited check writing, a Visa Debit Card, Online and Mobile Banking, Bill Pay, and no fees at in-network ATMs. This is an interest-bearing savings account, paying 0.05% APY on all balances. The account requires a minimum opening deposit of $25 and can be linked to a checking account to provide overdraft protection. There are no ATM fees at in-netword ATMs, and no monthly or quarterly service charge. However, you’re limited to no more than four withdrawals per statement cycle, and will be charged a $3 fee for each excess transaction. This account also pays interest on all balances at 0.05% APY, and has a minimum opening deposit of $25. The account can be used to provide overdraft protection for checking accounts, and you’ll pay no ATM fees and in-network ATMs. There is a $15 quarterly service charge, which can be waived if you have automatic, recurring monthly transfers of $25 or more from a BBVA Compass checking account, or you maintain a minimum daily collected balance of $500 or more. This account is currently paying 2.40% APY on all balances. It requires a $25 minimum opening balance, and you can set up transfers from your checking account or by linking to an external bank account. There is a limit of six transactions per monthly statement cycle. The account is available in all states except Alabama, Alaska, Arizona, California, Colorado, Florida, Hawaii, New Mexico and Texas. The minimum investment in each CD is $500, and there are no maintenance fees. Interest can be paid monthly, quarterly, semiannually, annually, or at the time of maturity. It can be paid by check or transfer to another account. CDs will automatically renew, unless you choose otherwise. CDs are available for IRAs, which permit two additional deposits into your CD per calendar year. Fees charged on BBVA Compass Bank savings products are similar to those for their checking accounts. However, there is a $3 fee to use another bank’s ATMs. There’s also a $3 fee if you exceed four transactions per statement cycle on any savings products. An early account closing fee of $25 applies on new accounts closed within 180 days of opening. As is typical of all banks, BBVA Compass Bank imposes early withdrawal penalties on its CDs. Terms one year or less: $25, plus 1% of the amount withdrawn. Terms one year or more: $25, plus 3% of the amount withdrawn. The Bank offers credit cards, personal loans, auto loans, mortgages, home equity loans, and home equity lines of credit. You start with a $100 account credit when you open a new account and make at least $1,500 in purchases in the first 90 days. The card also offers a 0% introductory APR for 13 months on balance transfers made within the first 60 days. After that, the interest rate is a variable 13.49% to 31.49% APR, based on your credit worthiness. There’s no annual fee, and you can earn unlimited 2% rewards on all purchases with a monthly direct deposit to a BBVA Compass deposit account. This card also offers a $100 account credit after your first $1500 in purchases within 90 days. It has a 0% introductory APR for 13 months on both purchases and balance transfers. There is no annual fee, and the interest rate is variable at 13.49% to 31.49% APR, based on your credit worthiness. You can choose from a list of 10 predetermined rewards categories, and earned 3X unlimited points in one category, and 2X unlimited points for another. You’ll then earn 1X unlimited points on all other purchase categories. Categories are selected each quarter. Just as is the case with ClearPoints Credit Card, you can choose your rewards using the same arrangement. But you’ll also earn an additional 1,000 bonus points each month you make at least $5,000 in qualifying purchases. You can also earn $100 in account credits after making $20,000 in qualifying purchases. The annual fee is $125, but is waived in the first year. The interest rate is a very low 15.49% to 19.49% variable APR, based on your credit worthiness. This is a secured credit card, collateralized by a savings account. It’s designed for those who cannot qualify for a traditional credit card. It works like a regular credit card, and has an interest rate of 24.49% variable APR. The credit line can be increased any time with additional deposits to the securing savings account. You can borrow up to $35,000 online (or up to $100,000 in person or by phone) on an unsecured personal loan. Your funds can be received as early as the same day. Terms range from 12 to 72 months. The line offers fixed APR’s ranging from 4.99% to 28.99%, based on your credit worthiness. There are no fees, and the proceeds can be used for any purpose. BBVA Compass Bank offers auto loans from $5,000 and up, with terms between 12 months and 72 months. Interest rates start at 6.74% APR (5.24% APR for loan amounts of $15,000 or more). Loans are available for new and used vehicles. You can apply for a mortgage loan online. The bank offers both conventional mortgages and Jumbo mortgages (loan amounts greater than $484,350), as well as FHA and VA loans. They also offer no- and low-down payment loans, lot loans, and construction permanent loans. Loan terms are 15 to 30 years for both fixed and adjustable rate mortgages. But one very interesting and unique option is their Professional Mortgage Loan. It provides mortgage financing for medical residents, practicing physicians, attorneys, oral surgeons, dentists and CPAs. You can borrow up to $1.75 million with a low-down payment, and no requirement for private mortgage insurance. What’s more, deferred student loans can be excluded from your debt qualifying ratio in some scenarios. The loans can be used for purchase, refinance, construction, and even home equity. With home equity loans you can borrow between $10,000 up to $500,000, at fixed rates starting at 4.64% APR. You may even be able to qualify for special bank paid closing costs. The HELOC is a line of credit, that works much like a credit card secured by your home equity. Rates on the line currently start at 5.49% variable APR, and there is also an interest only option to lower your monthly payments. There is an annual fee of $75, plus $75 for each fixed rate advanced taken, though this fee is waived on your first transaction. You’ll have up to 10 years to draw funds from your HELOC. After that you’ll have 10 years to repay the balance if it’s less than $20,000, or 15 years if it’s more than $20,000. The maximum APR on the line is 18%. 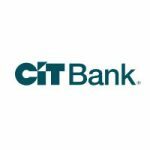 The Bank offers small business banking, providing business checking and savings accounts, as well as credit cards, merchant services, and online payroll services. They also offer online and e-commerce solutions. Business loan programs include small business lines of credit, business term loans, commercial real estate loans, and Small Business Administration (SBA) loans. In fact, BBVA Compass Bank is one of the 10 leading SBA lenders in the country. You can invest where you bank, through BBVA Group, a financial services group with operations in more than 30 countries. 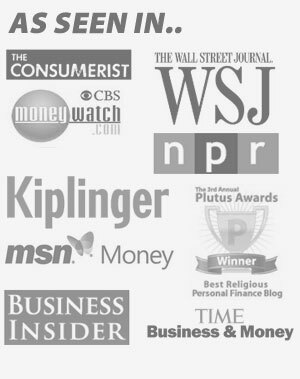 They provide full-service brokerage services with a financial advisor, or a self-directed brokerage account. They even have their own robo-advisor, SmartPath Digital Portfolios. With $10,000, you can invest in five different portfolio models, ranging from conservative to aggressive, at an annual fee of 0.75%. Self-directed investing requires a minimum of $100, and offers a trading fee of $9.95 for stocks, exchange traded funds and mutual funds. You can also invest in options. The full-service brokerage service provides fixed and variable annuities, mutual funds, unit investment trusts, professionally managed portfolios, fixed income securities, and wealth transfer solutions. If you have a business, you can also set up a SIMPLE or SEP IRA. You can fund your account by debit or credit card, a transfer from another bank or an existing BBVA Compass account, or by depositing a check with Mobile Deposit. 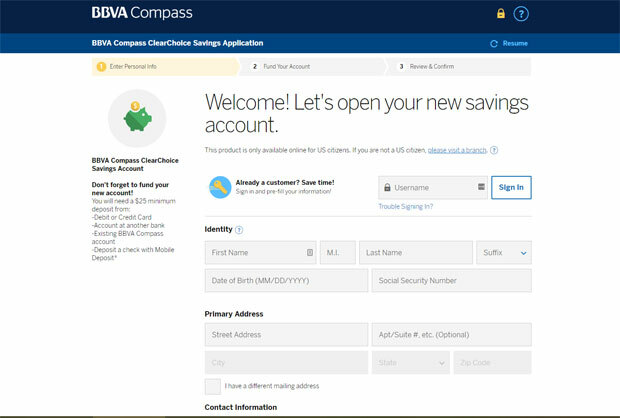 BBVA Compass is a full service, online bank, offering checking and savings products, as well as CDs, IRAs, credit cards, auto and personal loans, and home financing. The Bank also offers business banking for small businesses. You can invest where you bank, with either self-directed or fully managed investing, or even a robo-advisor option. Open a checking, savings or money market account with as little as $25, or a CD with just $500. The ClearChoice Money Market Account pays one of the highest interest rates on money market accounts of any online banks, at 2.40% APY. BBVA Compass Bank offers rates on its CDs that are competitive with other online banks. Earn cash back on purchases with your Visa debit card. The Professional Mortgage Loan offers real estate financing with relaxed guidelines for professionals, like doctors, dentists, attorneys and CPAs. Easy Checking provides an opportunity for those with an unsatisfactory prior bank history to open a checking account. Yields on savings accounts aren’t competitive with other online banks. 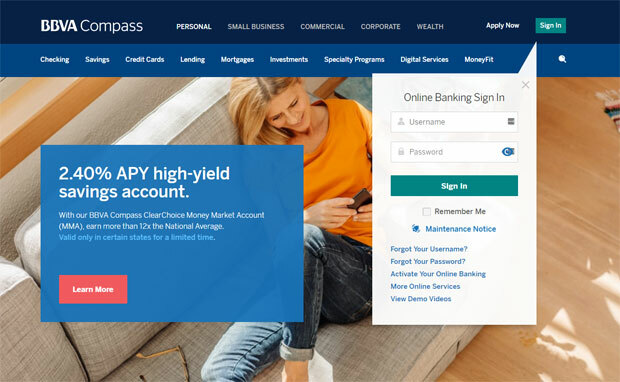 Banks typically limit the number of transactions on savings and money market accounts to no more than six per month per Federal Regulation D. But BBVA Compass Bank reduces that limit to no more than four per monthly statement cycle on its savings accounts. Early withdrawal penalties on CDs are higher than most other banks, at $25, plus 1% or 3% of the amount withdrawn. Most online banks offer a limited menu of high-yield savings accounts, money markets and CDs, giving you an opportunity to earn high interest on your savings. But in most cases, you’ll need to maintain a local bank relationship, for other banking services like checking accounts and loans. But with BBVA Compass Bank, there’s no need to continue your local bank relationship. They’re a full-service online bank, offering everything your local bank has, plus high-yield savings options. That includes several checking accounts, credit cards, personal and auto loans, and the full range of home financing options. The even offer business banking and investments. If you move your money to BBVA Compass Bank, you’ll be able to fire your current, low interest paying local bank. They have everything you need under one roof. 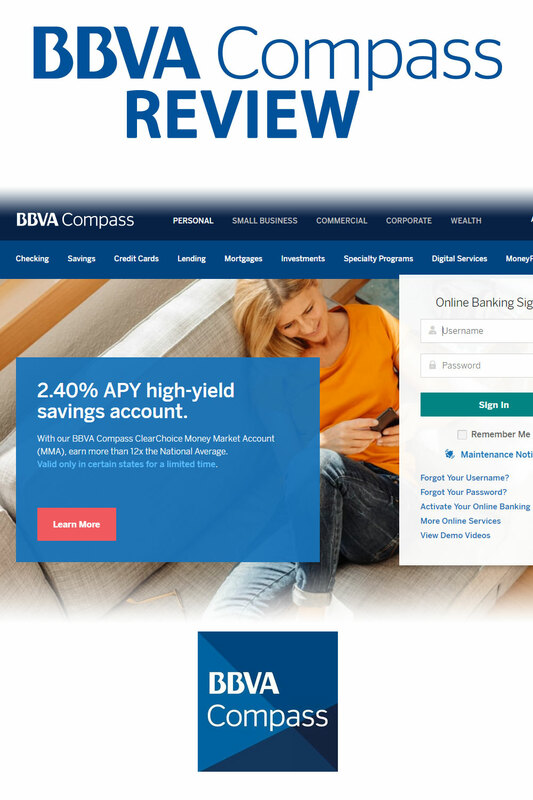 If you’d like more information, or you’d like to open an account, visit the BBVA Compass Bank website. 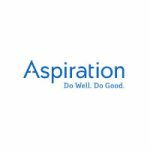 Aspiration offers banking services that give cash back and that pays high interest. They also give 10% to charity. Here's a review. Next Post: Ultimate Guide To Real Estate Crowdfunding: What Is It And Where Can I Invest?